Made from pure pashmina, this exquisite and very finely designed 1840s Sikh period jamawar shawl has been handwoven with special wooden spools called Tojli in Kashmiri. A connoisseurs delight, this original vintage shawl with a spectacularly ornamented central field has been made from a larger shawl. Expertly restored by traditional Rafoogars, it is lined with finest mull and has fine new Pashmina pallas/ends. A collectors piece. 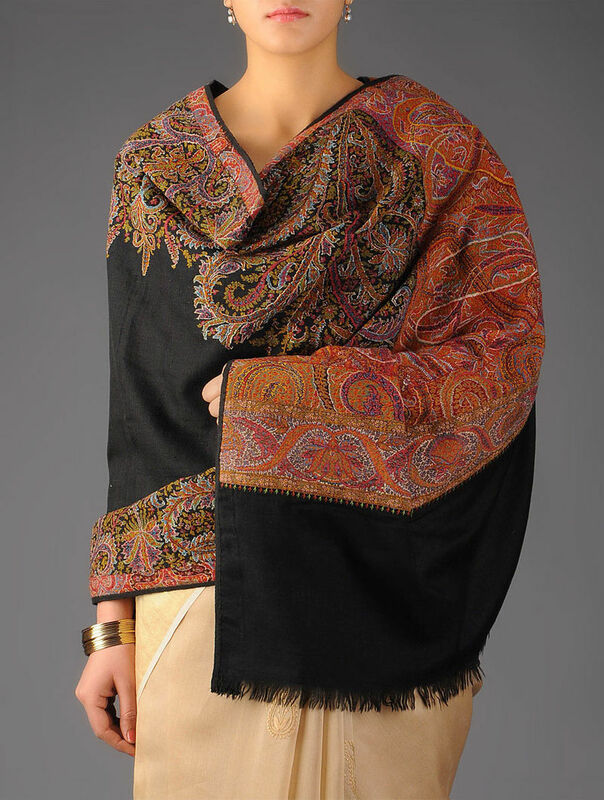 This exquisite jamawar shawl is a vintage piece that has been restored by trained rafugars. Slight irregularities may occur and are a special feature of its vintage charm.